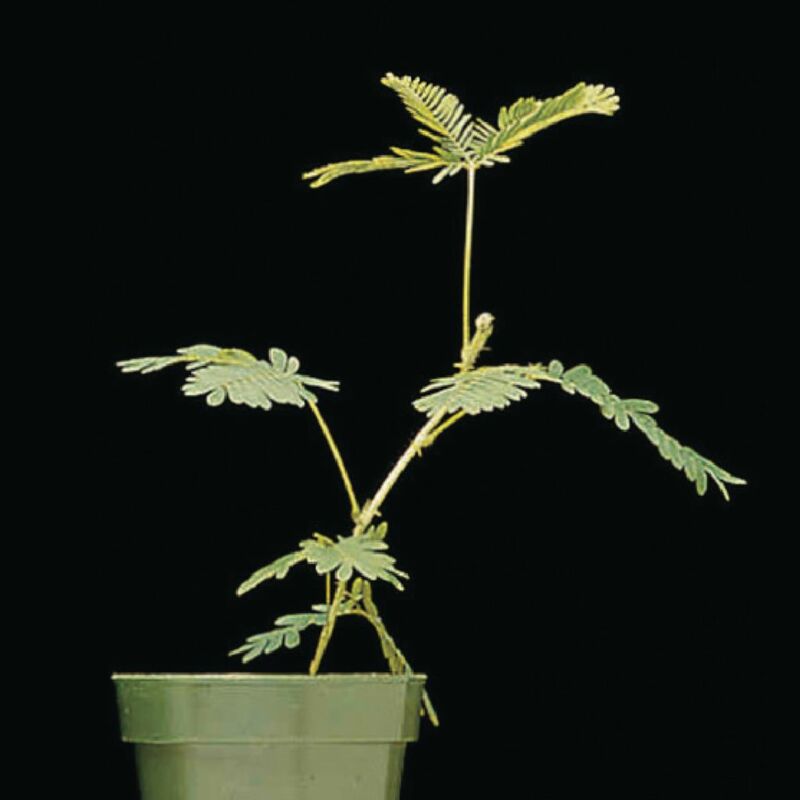 Mimosa pudica. Dicot. Also known as a sensitive plant, it is an ideal illustration of thigmotropism, or response to touch. The plant's leaves close when touched, and wilt or even drop off under more severe conditions but recovers quickly when the stimulus is taken away. It is native to tropical and subtropical regions of the Americas and prefers a moist environment. It is supplied in a pot with care instructions. Size: 4–8".